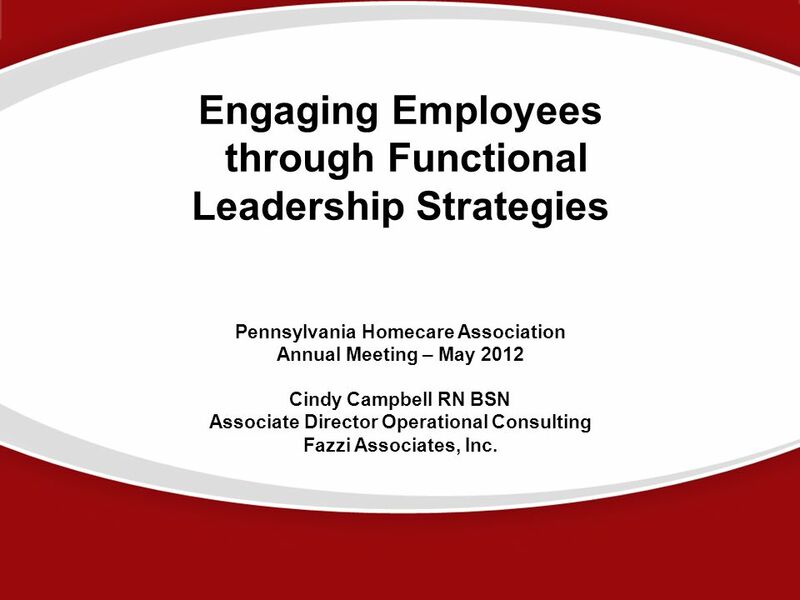 Pennsylvania Homecare Association Annual Meeting – May 2012 Cindy Campbell RN BSN Associate Director Operational Consulting Fazzi Associates, Inc.
MedPac 1/2012 – “U-shaped” reimbursement: Increase payments per day at the beginning of the episode & reduce payments per day as the length of the episode increases Provide an additional end-of-episode payment to reflect hospices’ higher level of effort at the end of life. 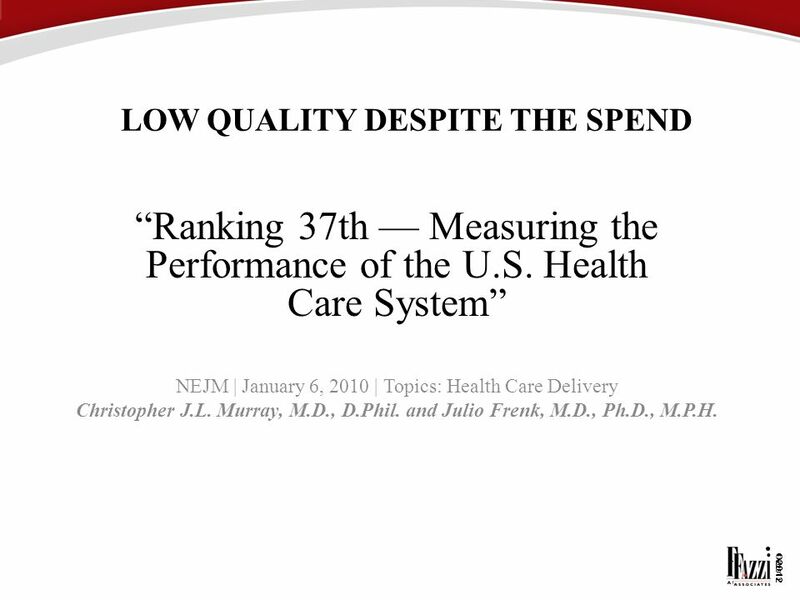 “Ranking 37th — Measuring the Performance of the U.S. Health Care System” NEJM | January 6, 2010 | Topics: Health Care Delivery Christopher J.L. Murray, M.D., D.Phil. 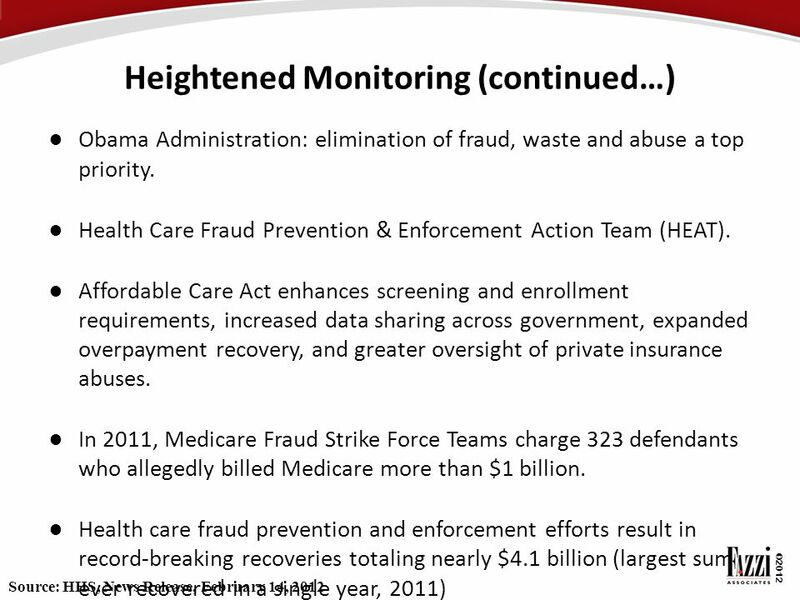 and Julio Frenk, M.D., Ph.D., M.P.H. 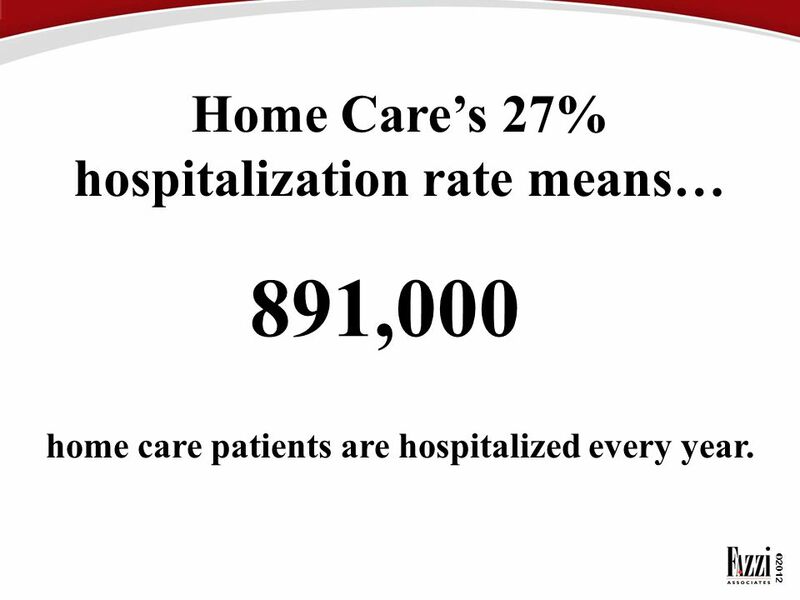 home care patients are hospitalized every year. 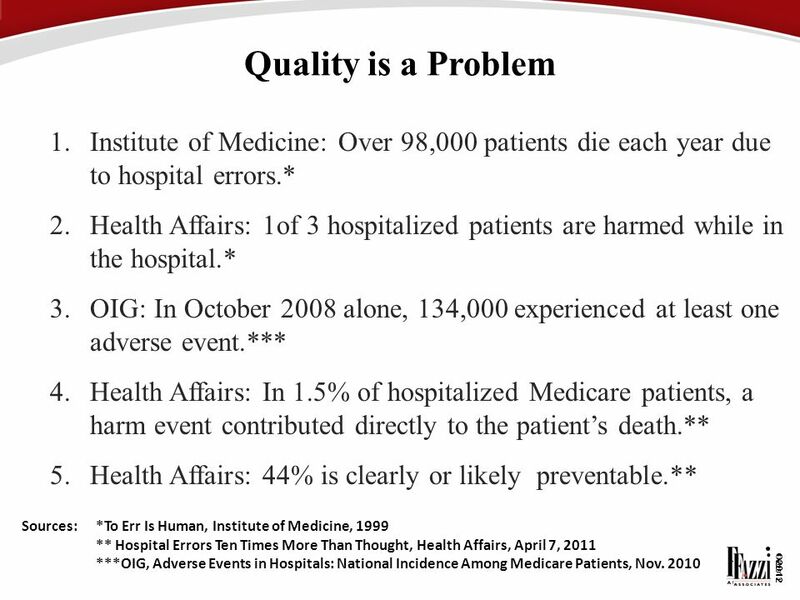 21 High Hospitalization Rates Means….. 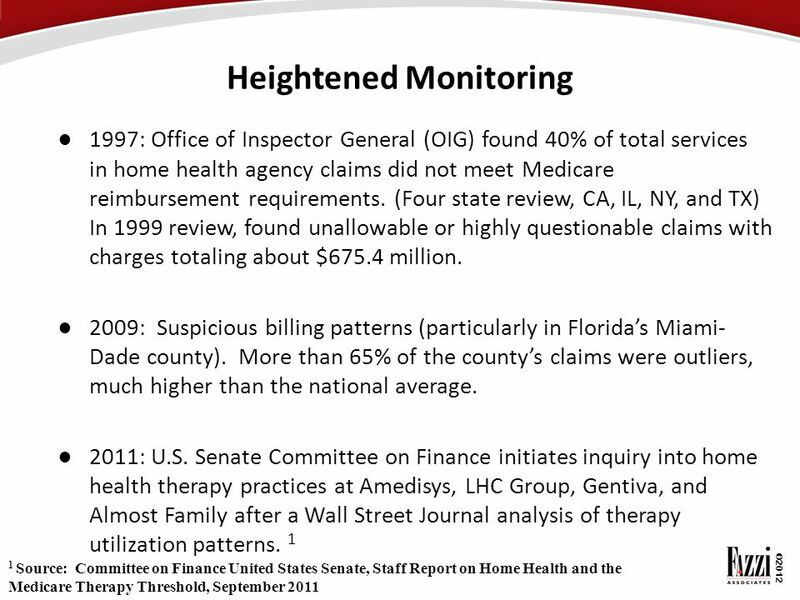 Hundreds and thousands of patients and families suffer the consequences. Value Based Contracting: Work together and lower costs. 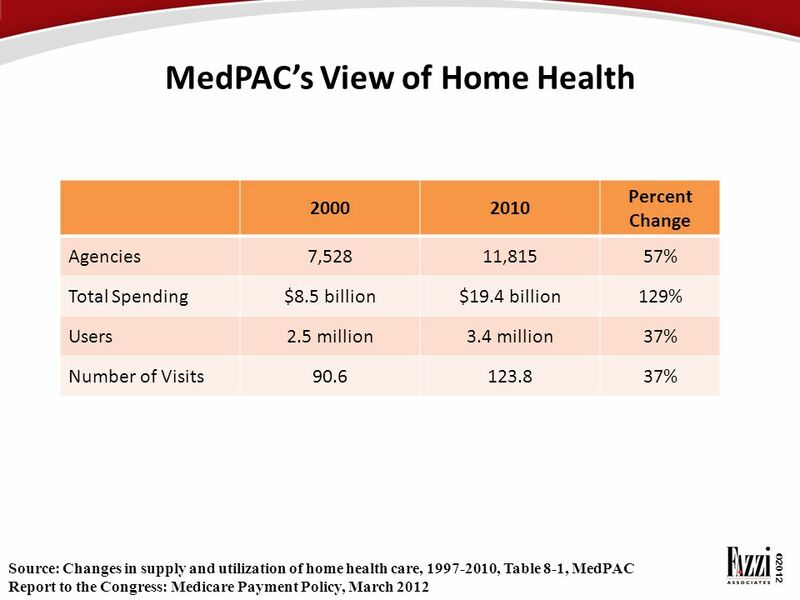 Patient Centered Medical Home: Improve quality, lower costs, and be more patient focused. 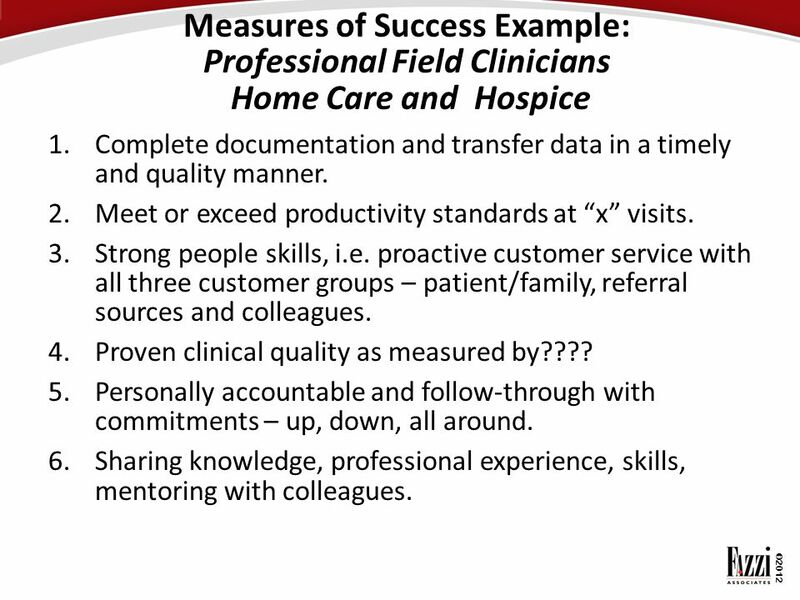 Care Transition Programs: Improve quality and improve patient experience. 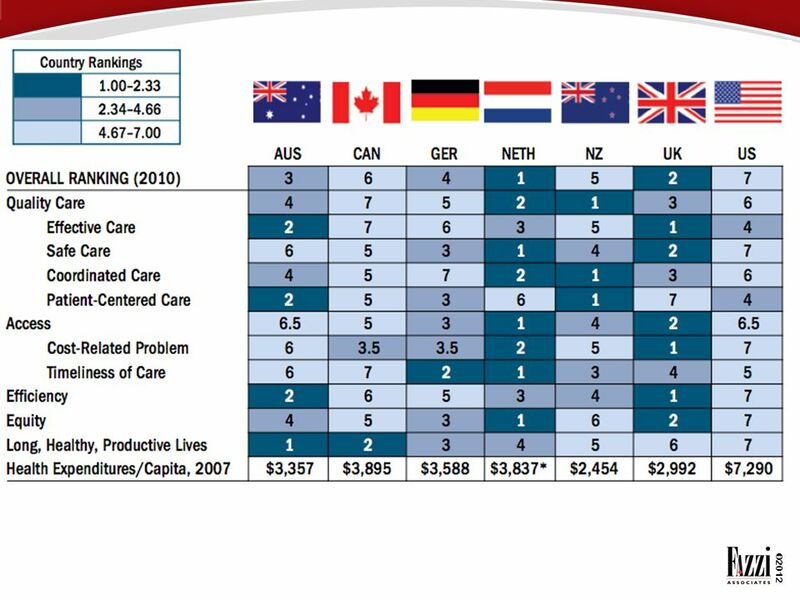 Chronic care or all patient focus. 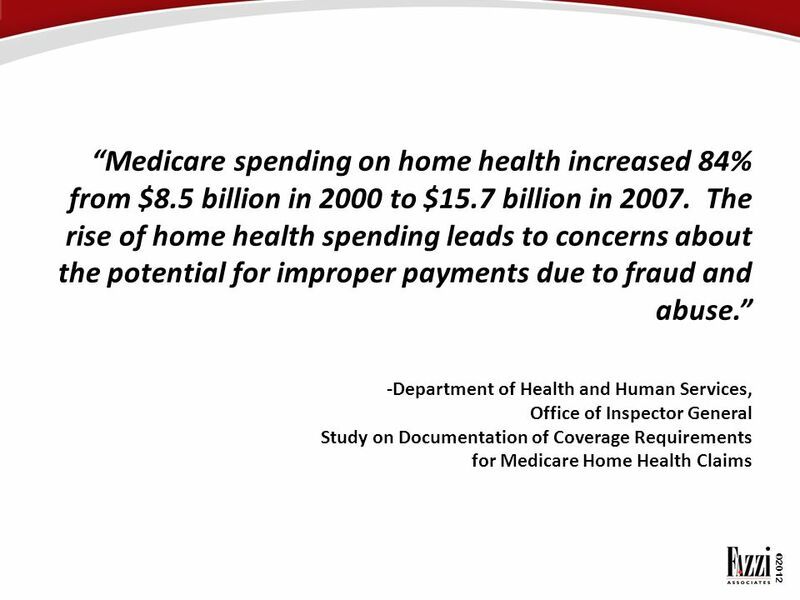 Bundled Payments: One payment to cover the services for the patient across health sectors. 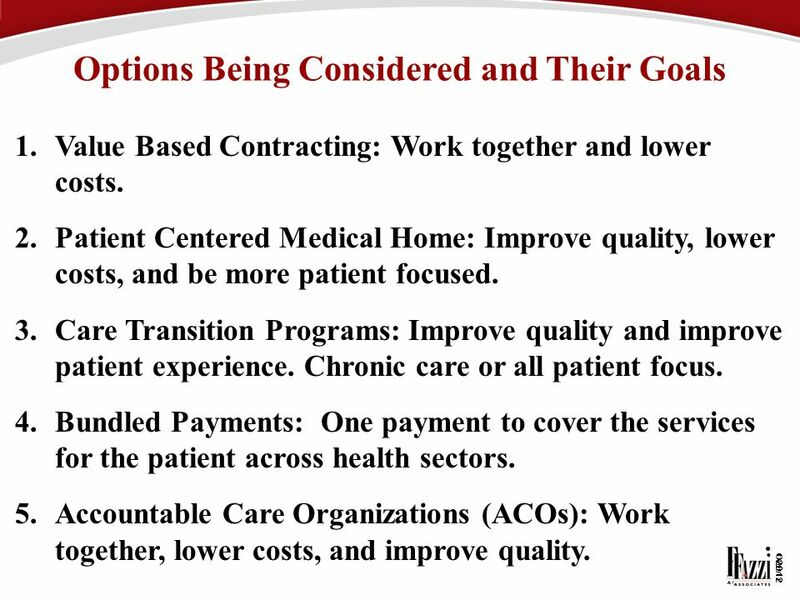 Accountable Care Organizations (ACOs): Work together, lower costs, and improve quality. 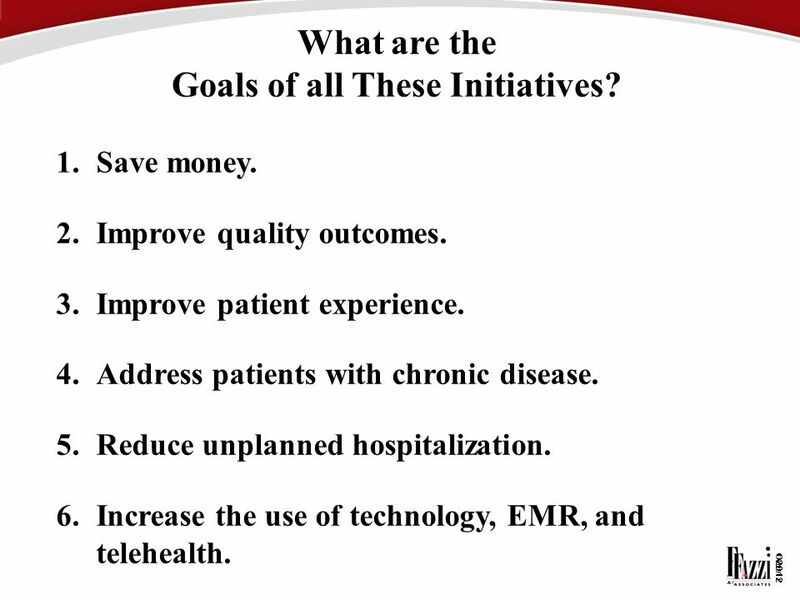 23 What are the Goals of all These Initiatives? Save money. 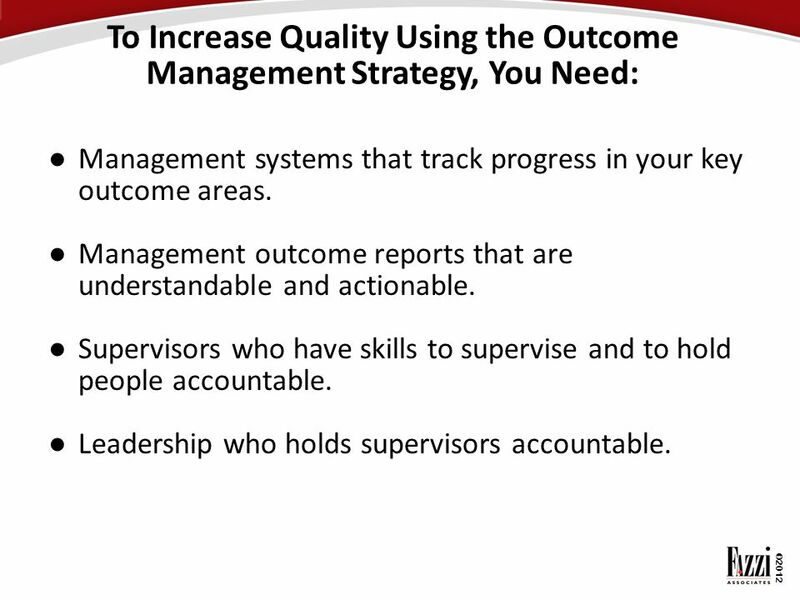 Improve quality outcomes. 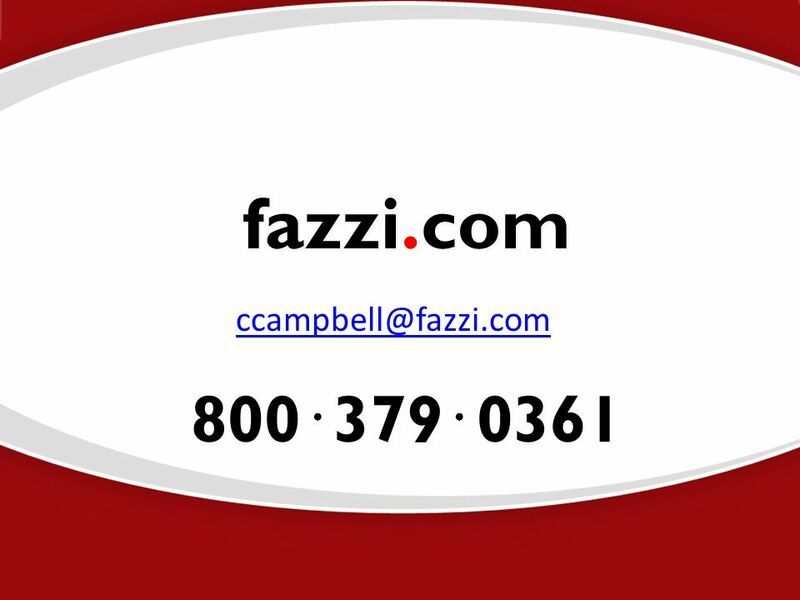 Improve patient experience. 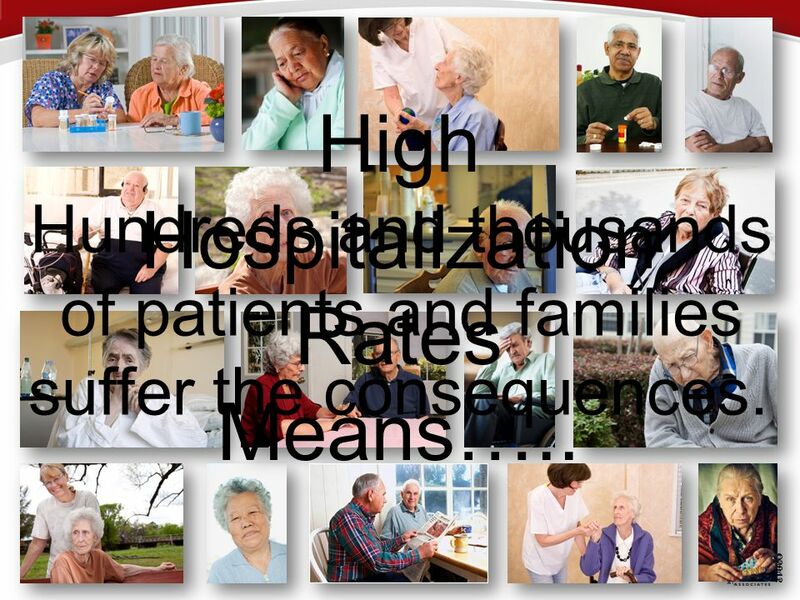 Address patients with chronic disease. 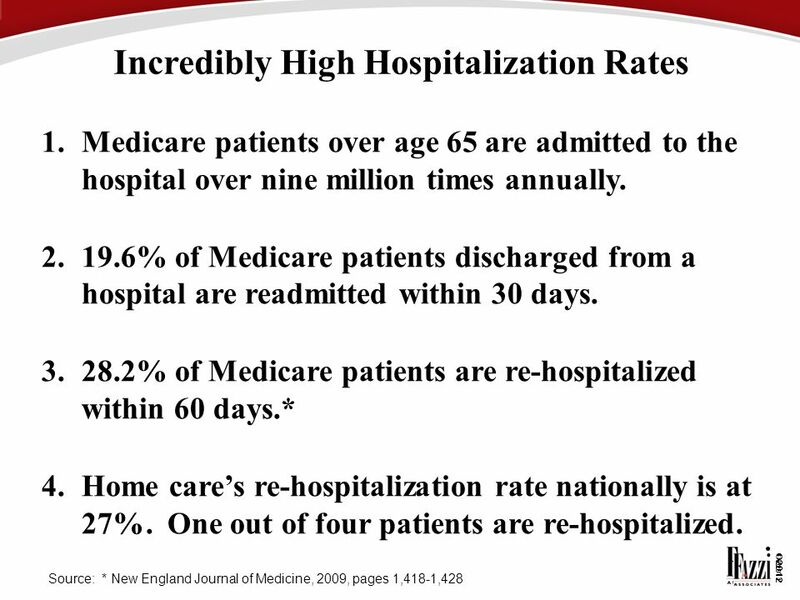 Reduce unplanned hospitalization. 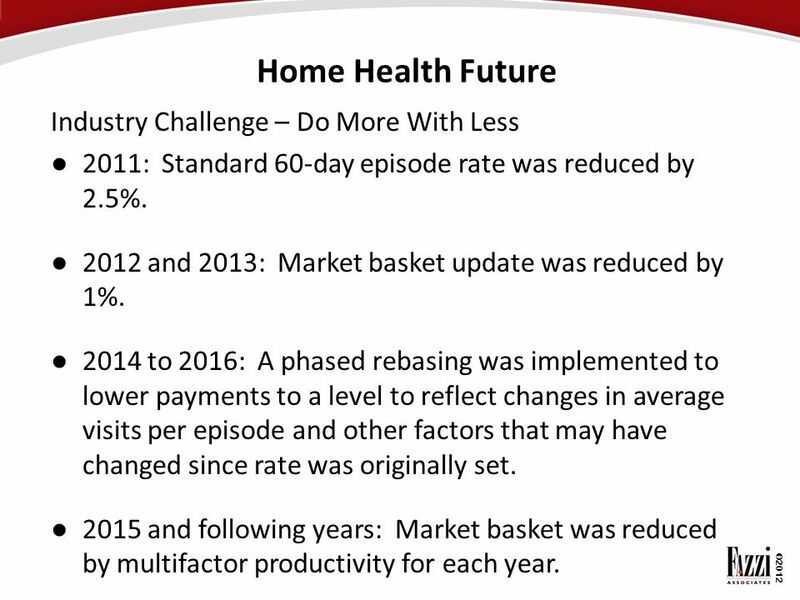 Increase the use of technology, EMR, and telehealth. 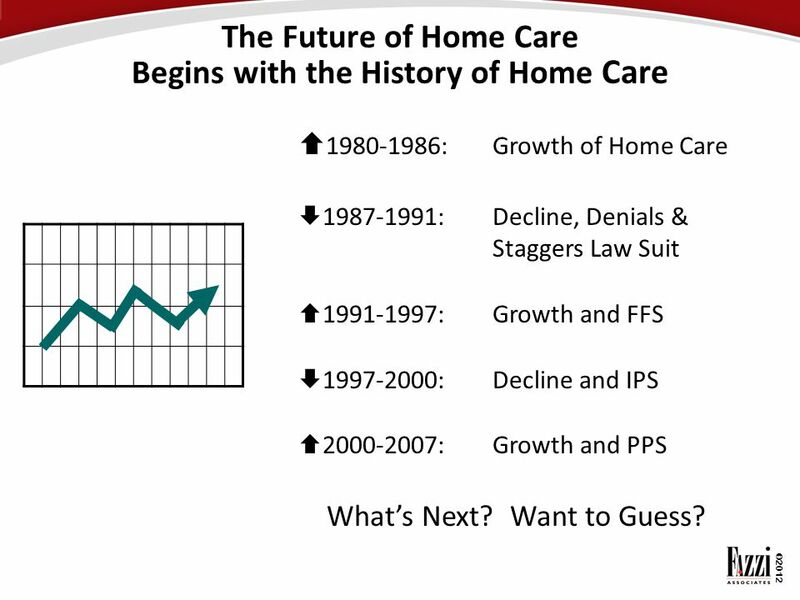 Agencies are anticipated to consolidate; too many providers than desired at present. 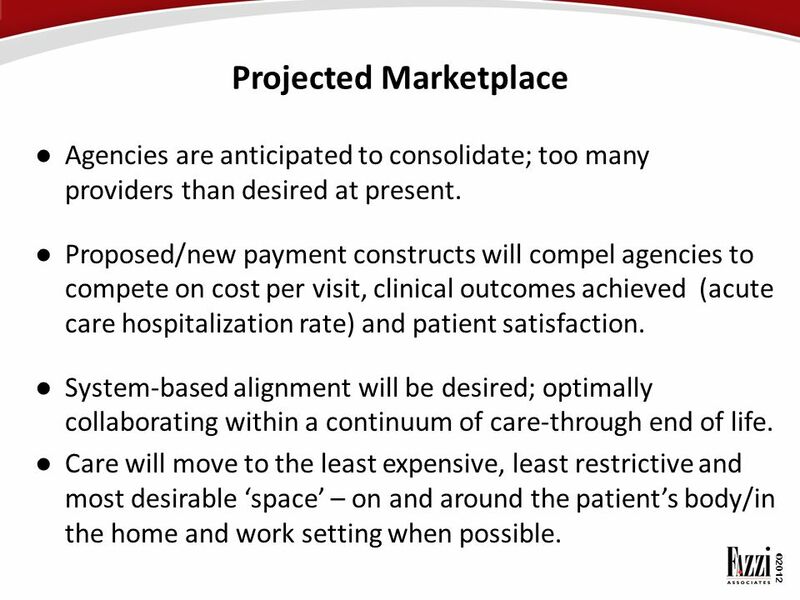 Proposed/new payment constructs will compel agencies to compete on cost per visit, clinical outcomes achieved (acute care hospitalization rate) and patient satisfaction. 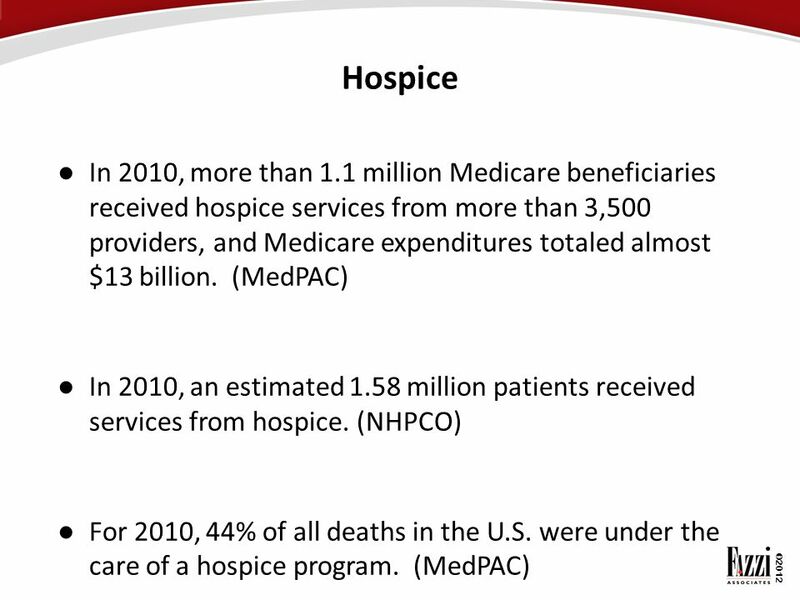 System-based alignment will be desired; optimally collaborating within a continuum of care-through end of life. 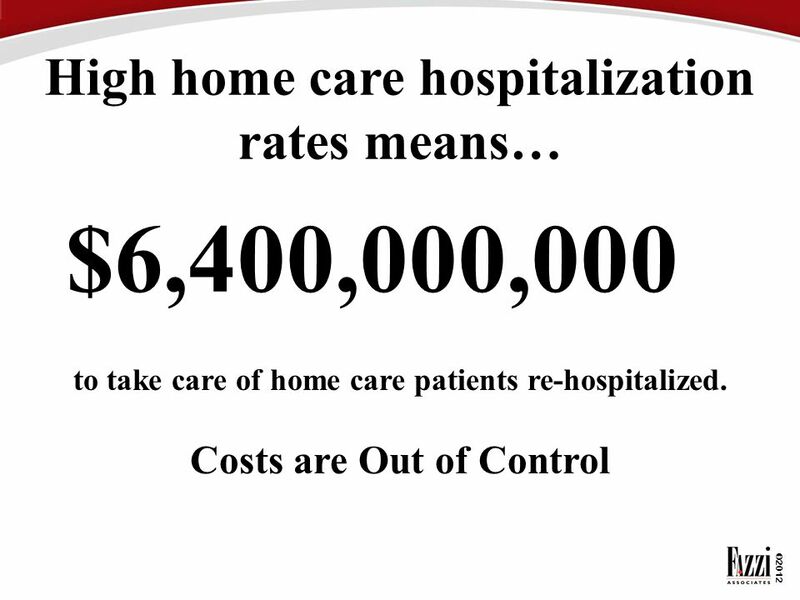 Care will move to the least expensive, least restrictive and most desirable ‘space’ – on and around the patient’s body/in the home and work setting when possible. 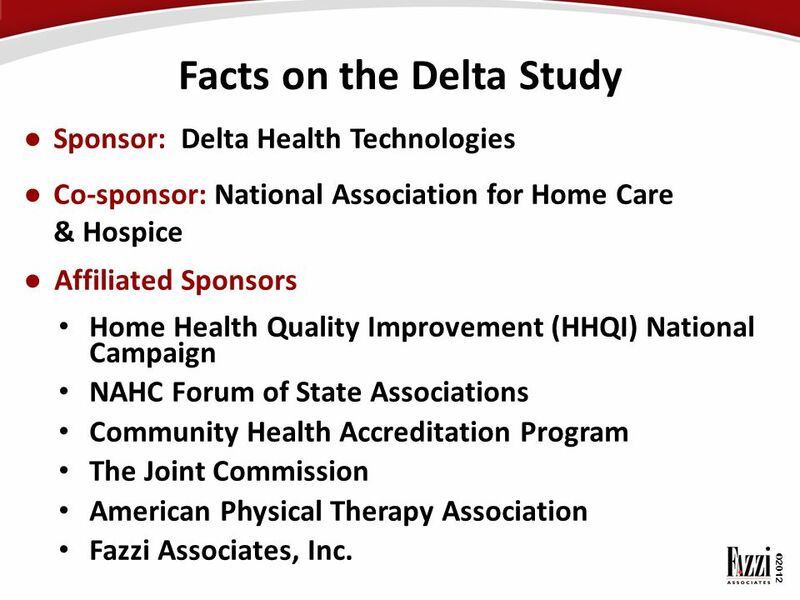 Sponsor: Delta Health Technologies Co-sponsor: National Association for Home Care & Hospice Affiliated Sponsors Home Health Quality Improvement (HHQI) National Campaign NAHC Forum of State Associations Community Health Accreditation Program The Joint Commission American Physical Therapy Association Fazzi Associates, Inc.
27 Interesting Insights Twenty-two distinct strategies were identified by the field. Most agencies we studied used more than one strategy. National average: ten. 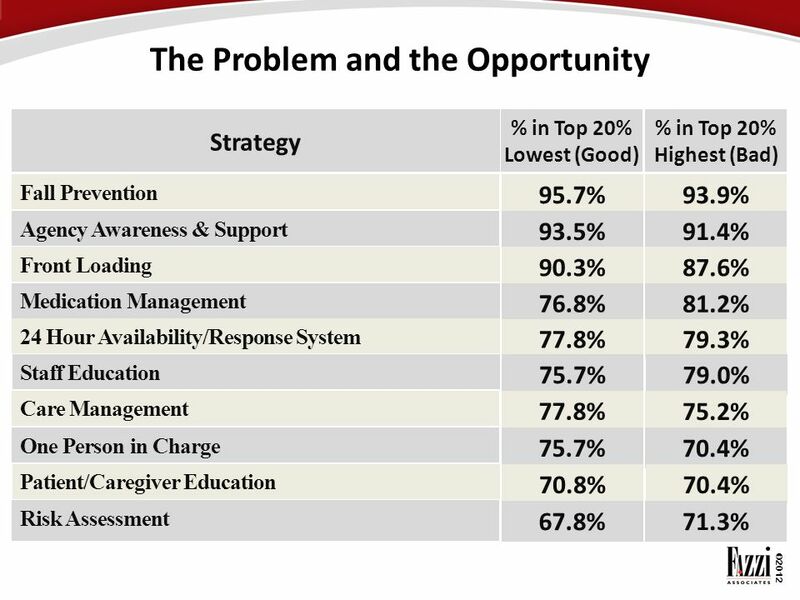 The top five strategies did not cost money. 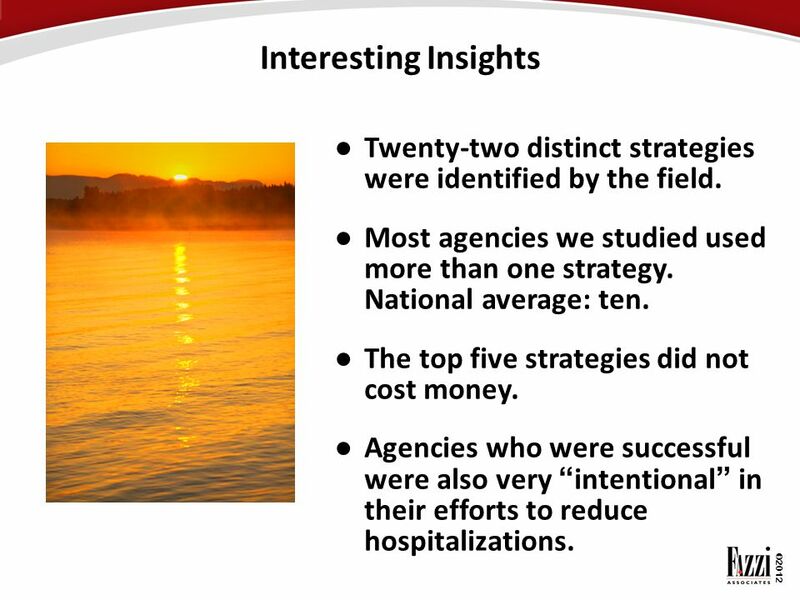 Agencies who were successful were also very “intentional” in their efforts to reduce hospitalizations. 29 What Does This All Mean? 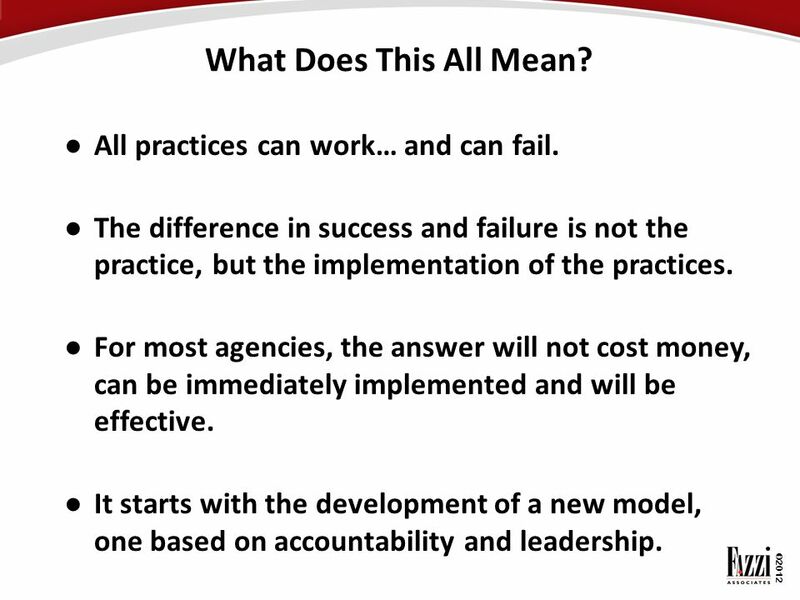 All practices can work… and can fail. The difference in success and failure is not the practice, but the implementation of the practices. For most agencies, the answer will not cost money, can be immediately implemented and will be effective. 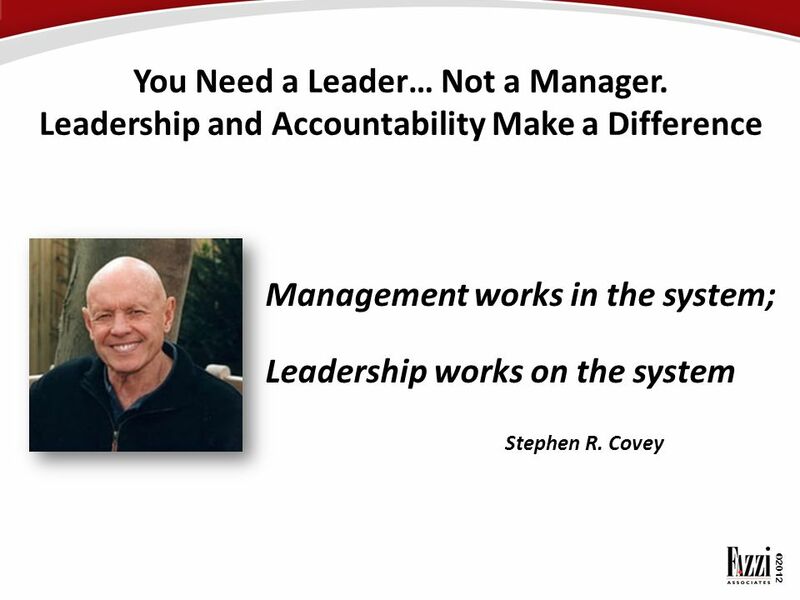 It starts with the development of a new model, one based on accountability and leadership. 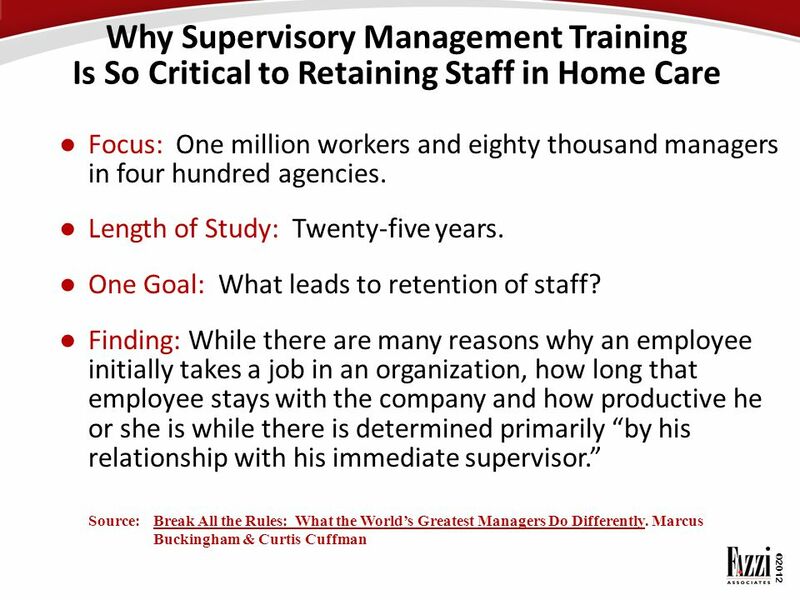 Think of a specific situation - past or present - when the way that your supervisor behaved discouraged your growth: What was the situation? How did you feel about it then? How do you feel about it now? 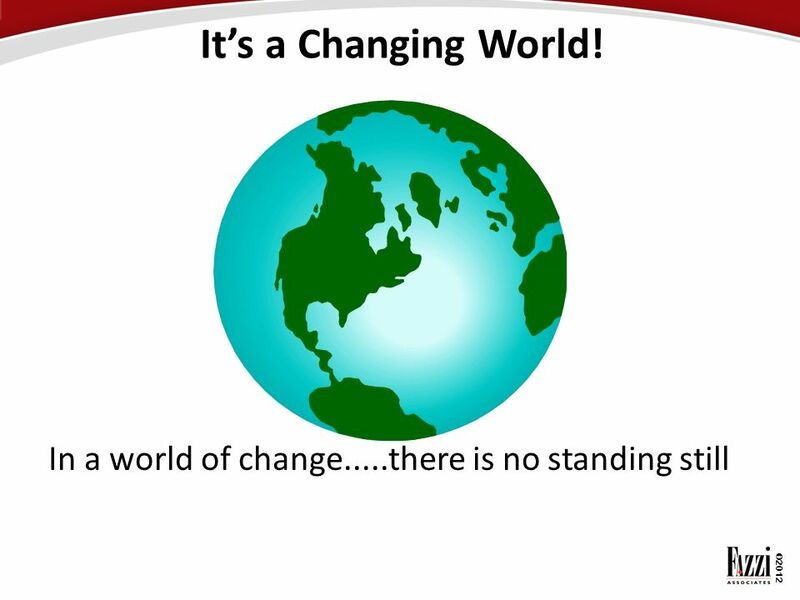 Think of a specific situation - past or present - when the way that your supervisor behaved encouraged your growth. What was the situation? How did you feel about it then? How do you feel about it now? 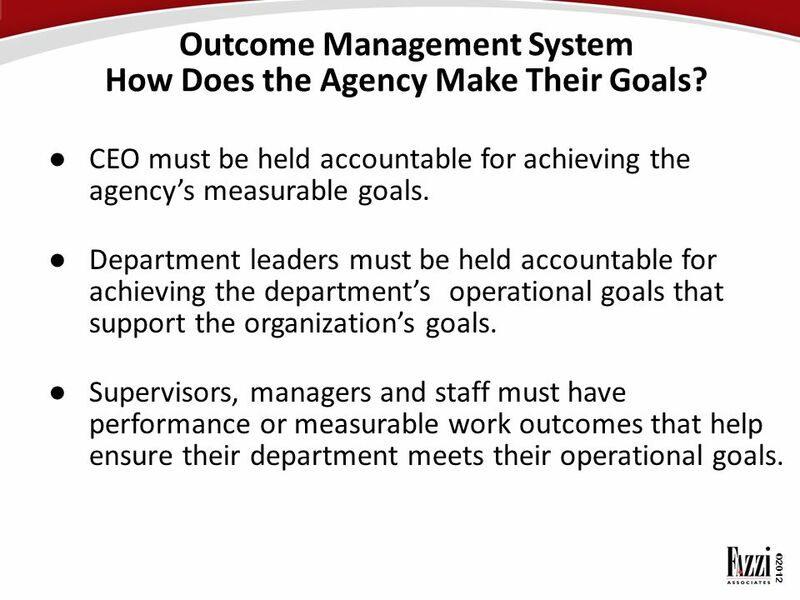 38 Outcome Management System How Does the Agency Make Their Goals? 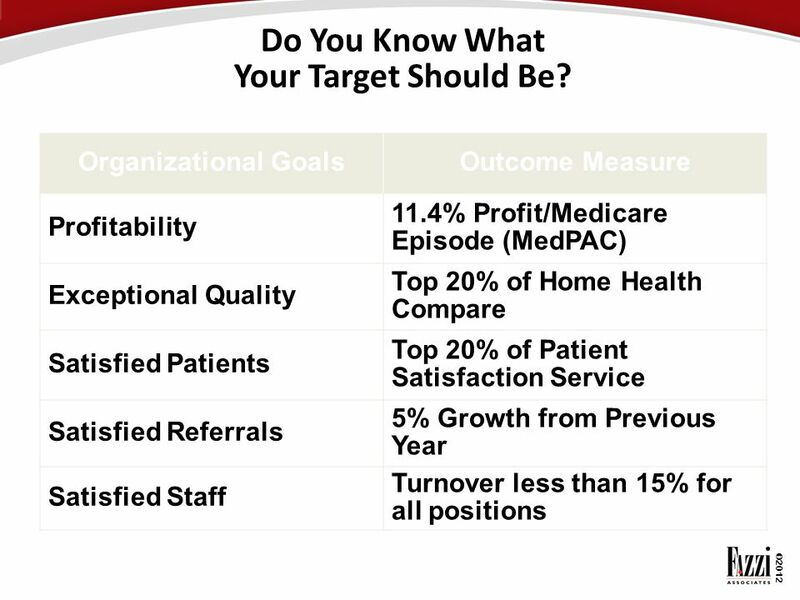 39 Do You Know What Your Target Should Be? 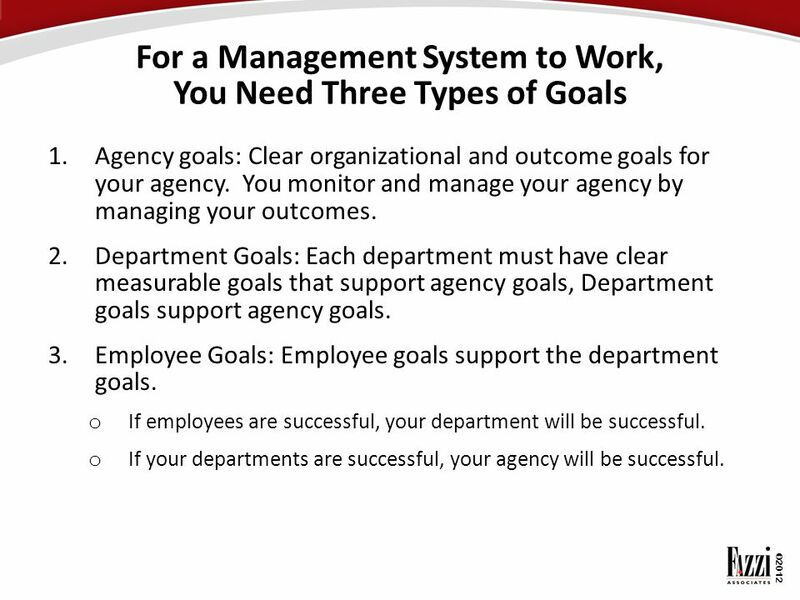 Agency goals: Clear organizational and outcome goals for your agency. 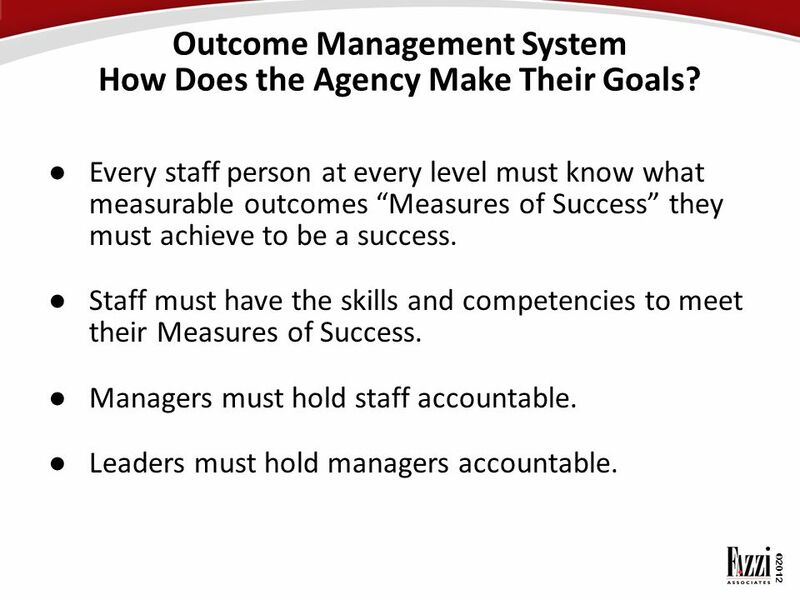 You monitor and manage your agency by managing your outcomes. 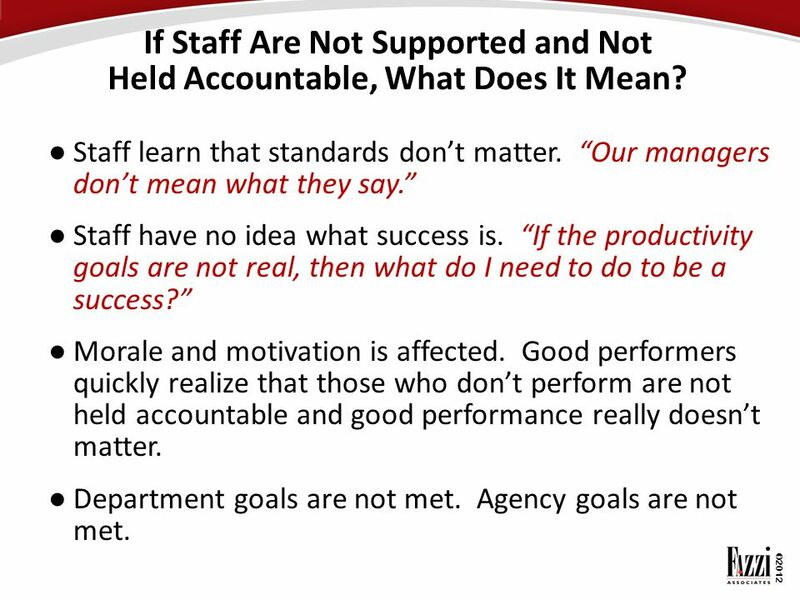 Department Goals: Each department must have clear measurable goals that support agency goals, Department goals support agency goals. 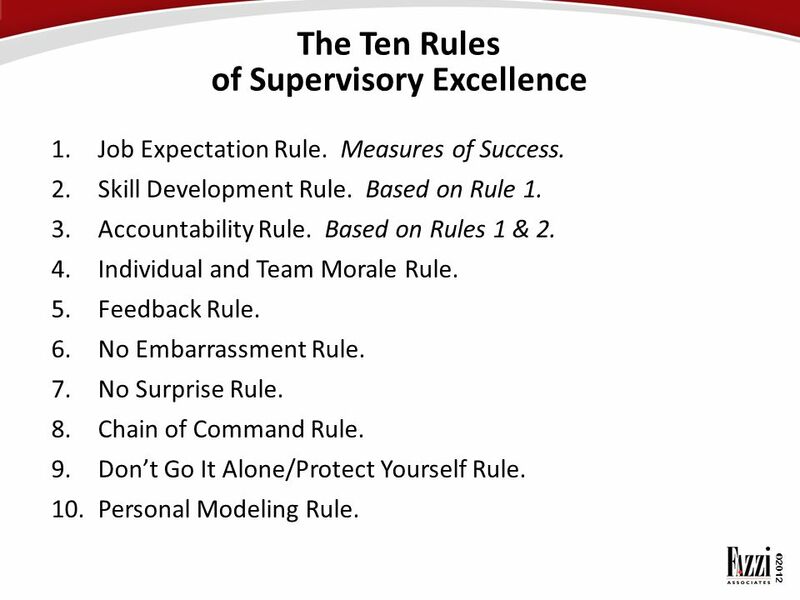 Employee Goals: Employee goals support the department goals. 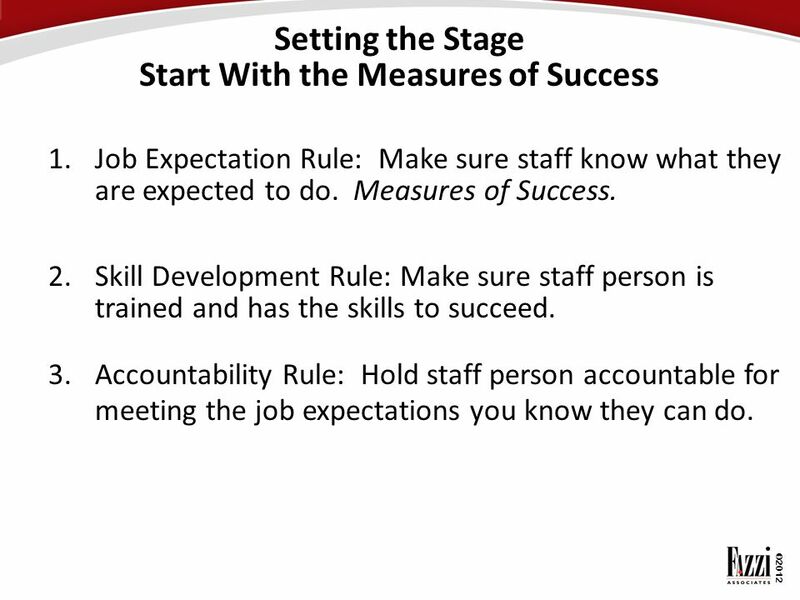 If employees are successful, your department will be successful. If your departments are successful, your agency will be successful. 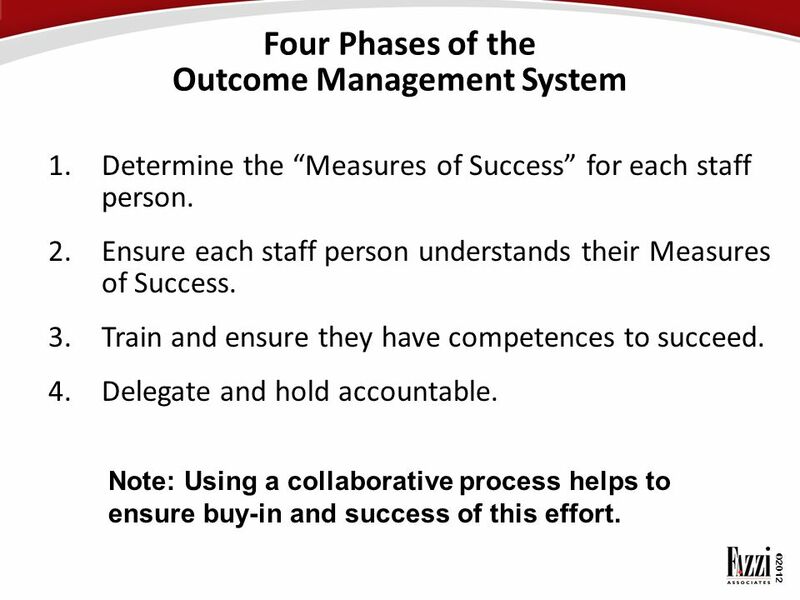 41 Outcome Management System How Does the Agency Make Their Goals? 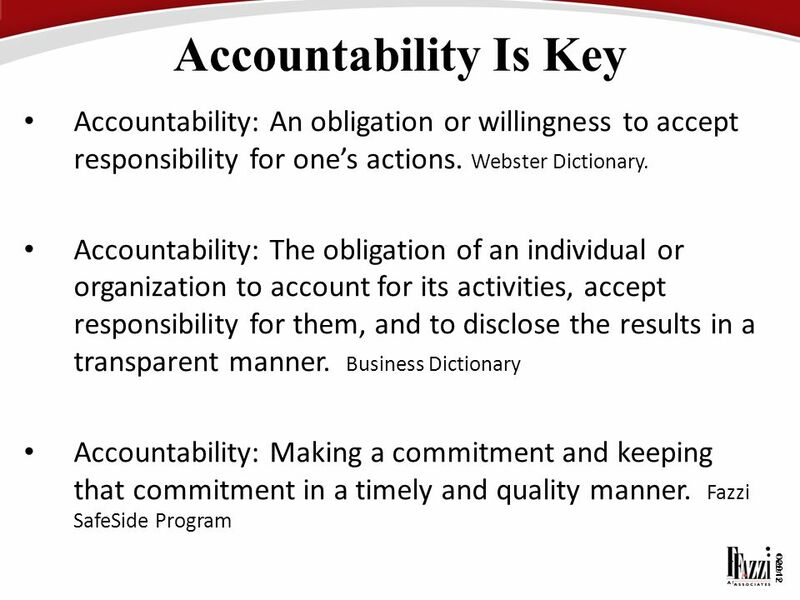 47 If Staff Are Not Supported and Not Held Accountable, What Does It Mean? 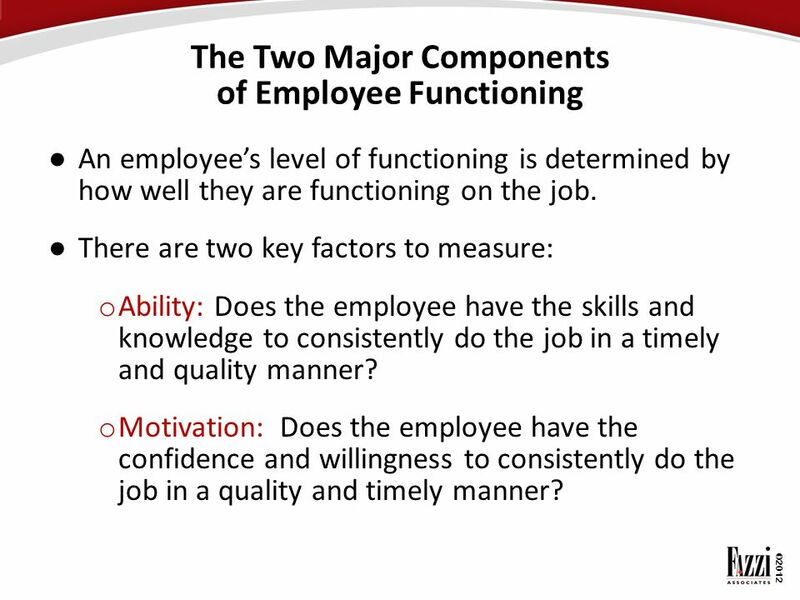 An employee’s level of functioning is determined by how well they are functioning on the job. 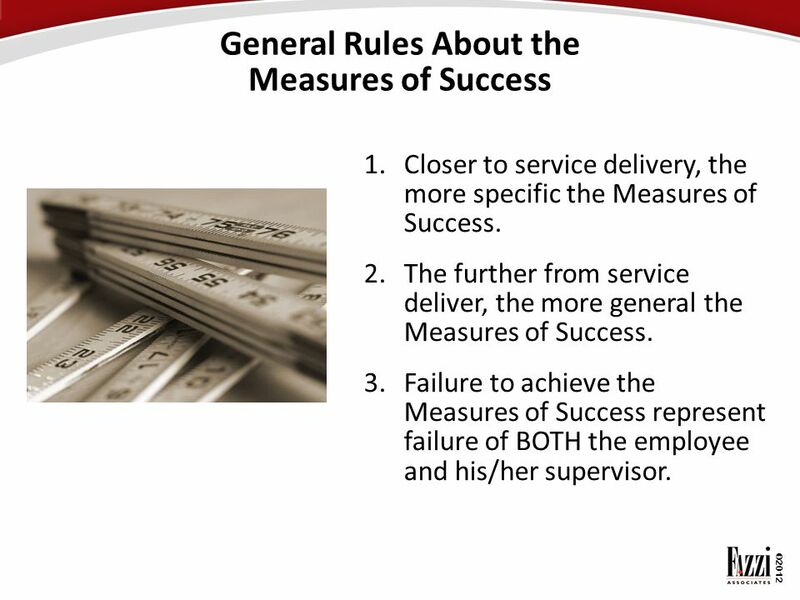 There are two key factors to measure: Ability: Does the employee have the skills and knowledge to consistently do the job in a timely and quality manner? 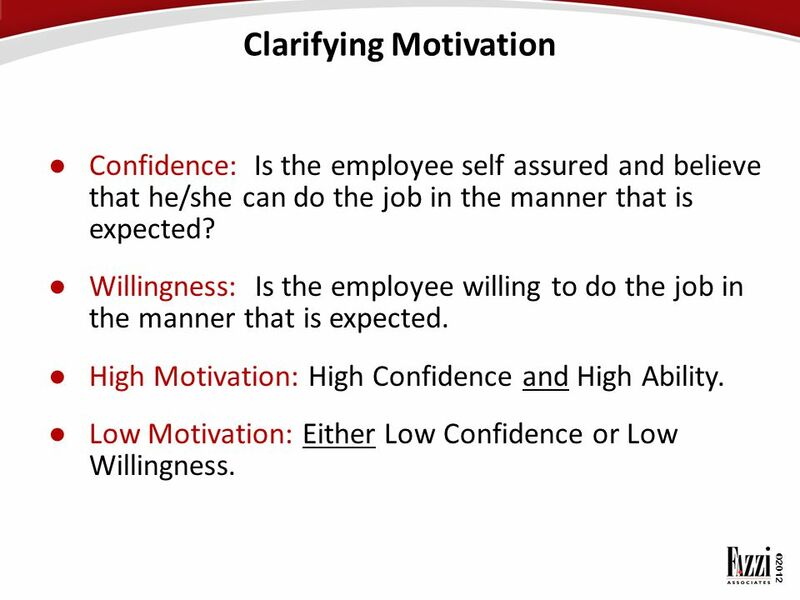 Motivation: Does the employee have the confidence and willingness to consistently do the job in a quality and timely manner? 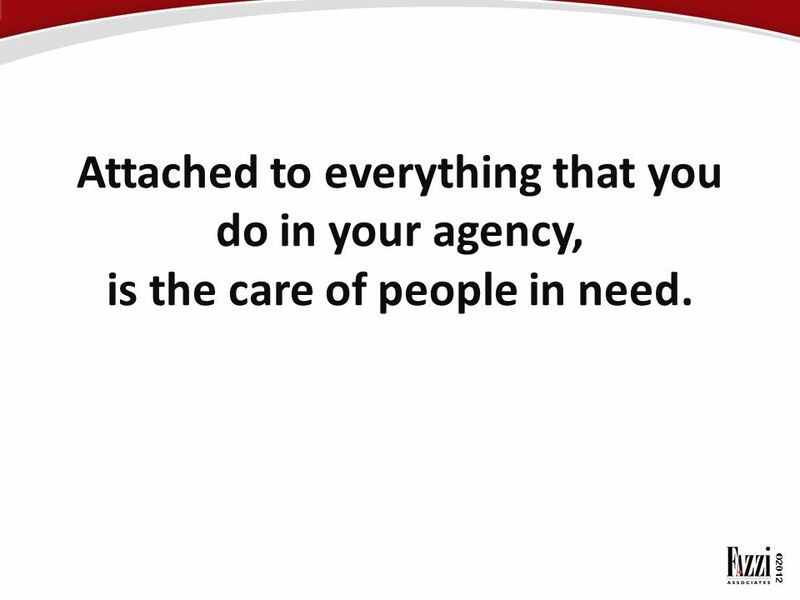 53 Attached to everything that you do in your agency, is the care of people in need. 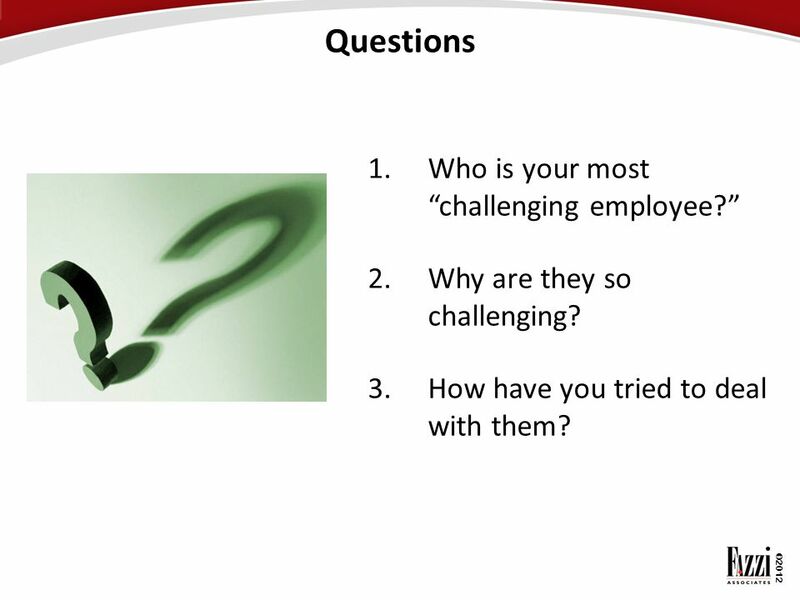 Download ppt "Engaging Employees through Functional Leadership Strategies"
Component 1: Introduction to Health Care and Public Health in the U.S. Unit 6: Regulating Health Care Lecture 4 This material was developed by Oregon Health. 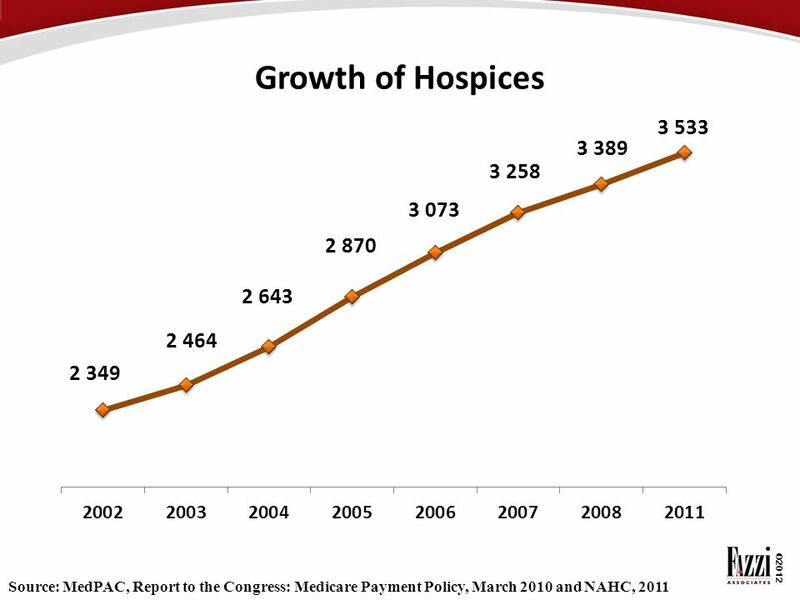 Maintaining patient health after a hospital stay…. 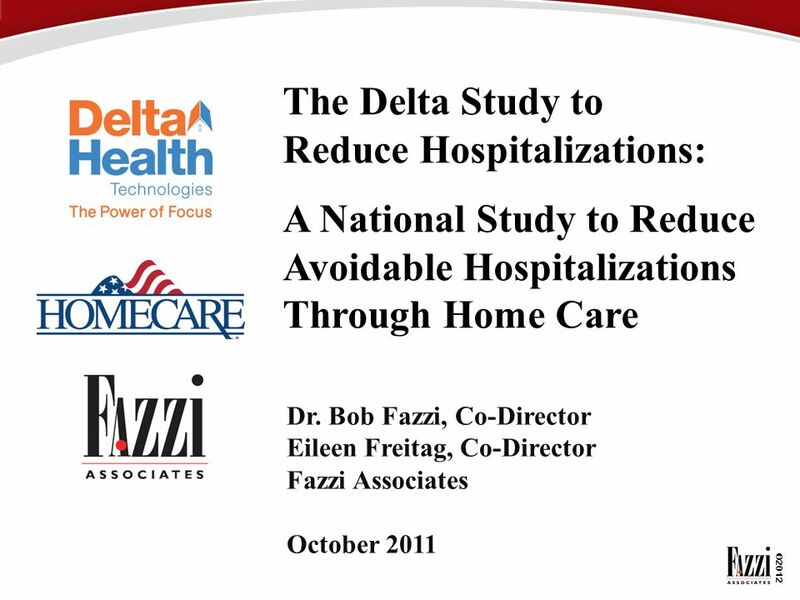 Deborah Bachrach, JD Bachrach Health Strategies LLC November 11, 2010. 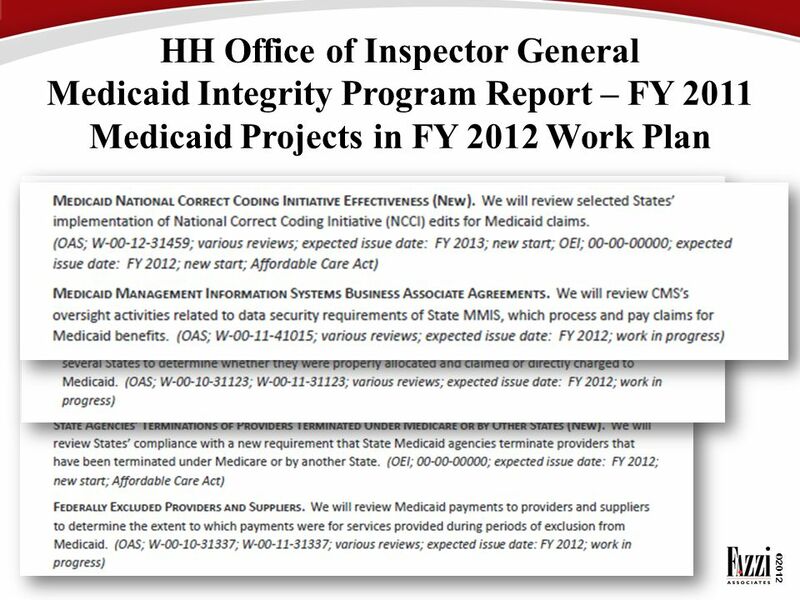 Governor Jim Doyles Roadmap to Universal Access to Health Care for all Wisconsinites Even During Difficult Economic Times Jason A. Helgerson Wisconsin. Paul B. Ginsburg, Ph.D. 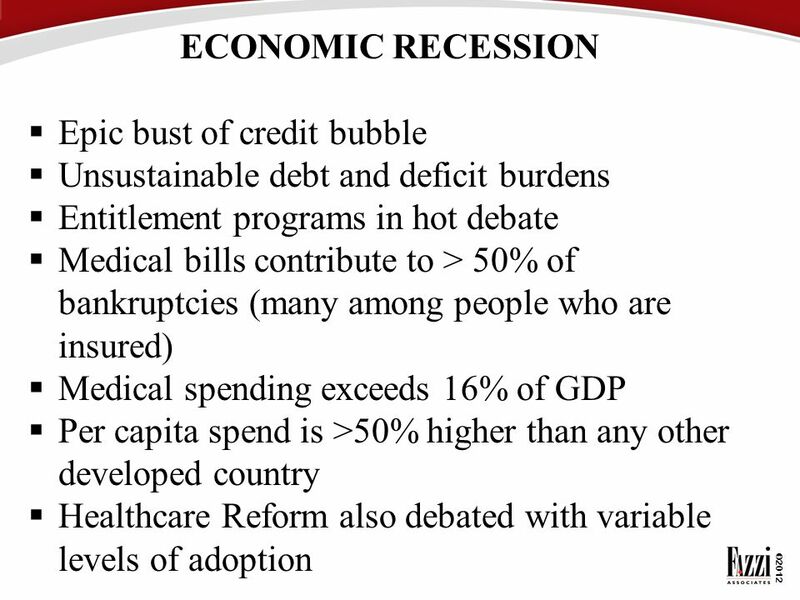 Presentation to The Rising Costs of Health Care: What Can be Done, Alliance for Health Reform, June 12, 2012 Policy Support for. 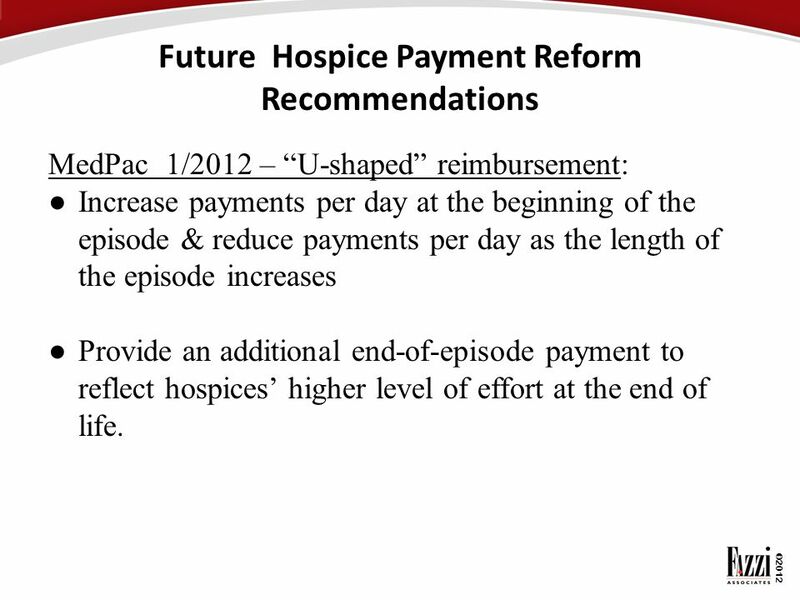 Home Health Prospective Payment Final Rule - Summary of Key Points Brian D. Ellsworth Senior Associate Director Policy Development Group August, 2000. WE BUILD A BRIGHTER FUTURE together American Hospitals Association Annual Meeting April 29, 2013 Raymond J. Baxter, PhD Senior Vice President, Community. 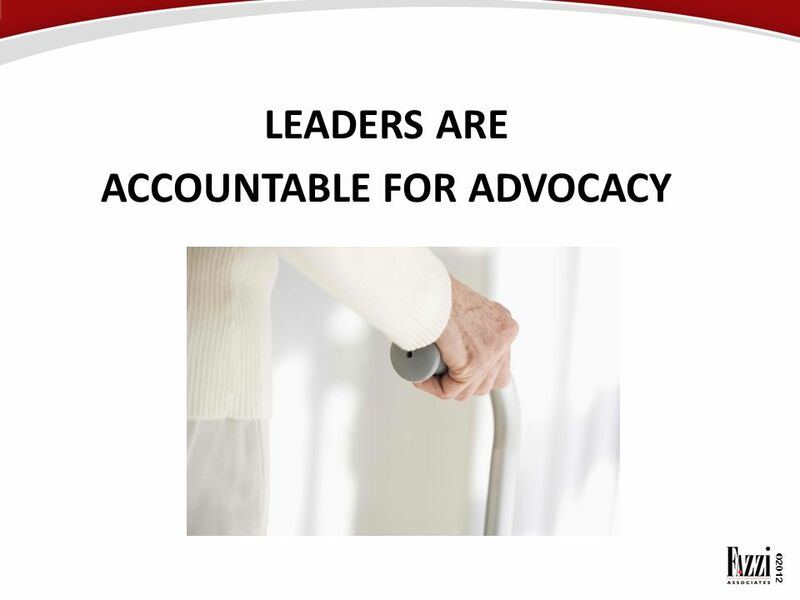 Oregon Health Care Reform "Letting Go of the Rope"
Community Care of North Carolina The Honorable Verla Insko N.C. House of Representatives. 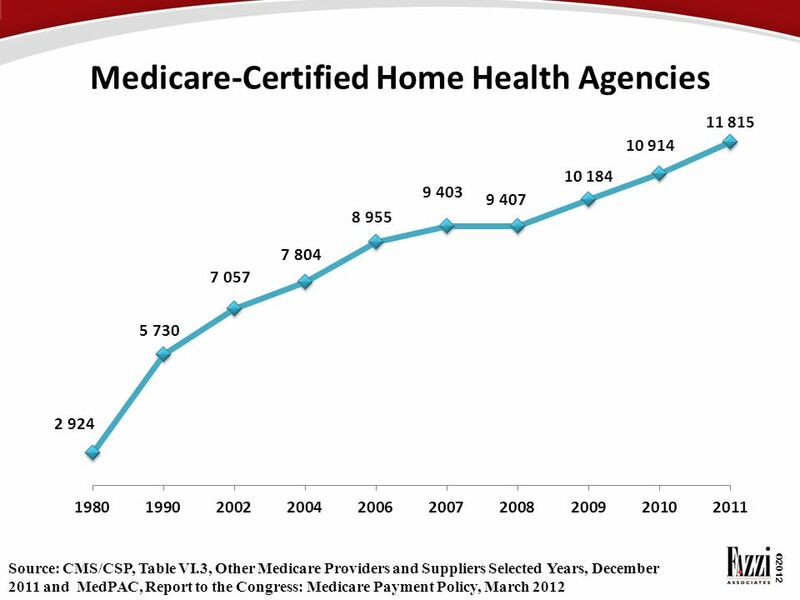 THE COMMONWEALTH FUND 1 Innovations in Primary Care: Whats In the Affordable Care Act? Melinda Abrams, MS The Commonwealth Fund www.commonwealthfund.org.